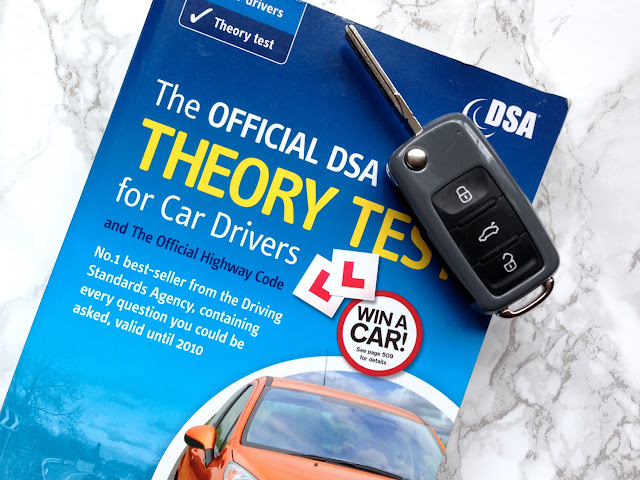 It took me six tests and almost three years of stopping and starting lessons to learn to drive, so I thought i'd put together a post of things I learned along the way. After lots of bad experiences I finally found an instructor who helped me beat my driving anxiety and i'm now enjoying the independence my license has given me! It took me four instructors before I found one that gave me confidence and was patient, calm and helped me to get over my driving anxiety. 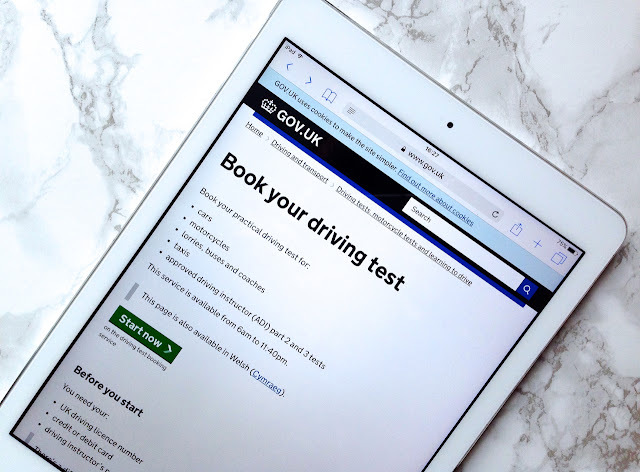 Although it's good to ask friends and family for recommendations, finding a driving instructor is more down to the type of person you are and the way you feel about driving. I started out with a large company and the instructor I was allocated was rude, swore at other drivers and got angry with me when I made mistakes. He also left me at the side of a road when the car broke down and would fill the car up with petrol when he was supposed to be teaching me! I then had two other instructors who made me feel useless when I failed my tests and while three of my friends had passed with one of them, he wasn't right for me. After a three year break for uni, I found a new instructor after looking online and she was perfect and gave me the confidence, support and encouragement I needed to pass. In my experience female instructors are a lot more understanding and calm so if you're having trouble finding an instructor who doesn't stress you out it might be another thing to consider. I mentioned above about my three year break for uni and this is something that i've always wished I hadn't done. Taking a break is one of the things that increased my driving anxiety and booking my first lesson after all that time away was so scary! 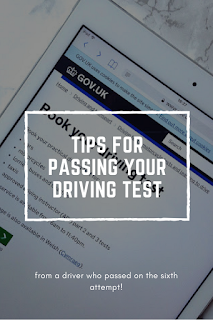 If you do take a break make sure your new driving instructor doesn't start teaching you from scratch; after a couple of lessons it didn't make me long to remember the things i'd learnt before which really surprised me. If you can go on the insurance of a friend or family member i'd really recommend driving outside of your lessons as practice is so important when you're learning to drive. If you're looking for your first car, i've shared my top three small cars for new drivers. 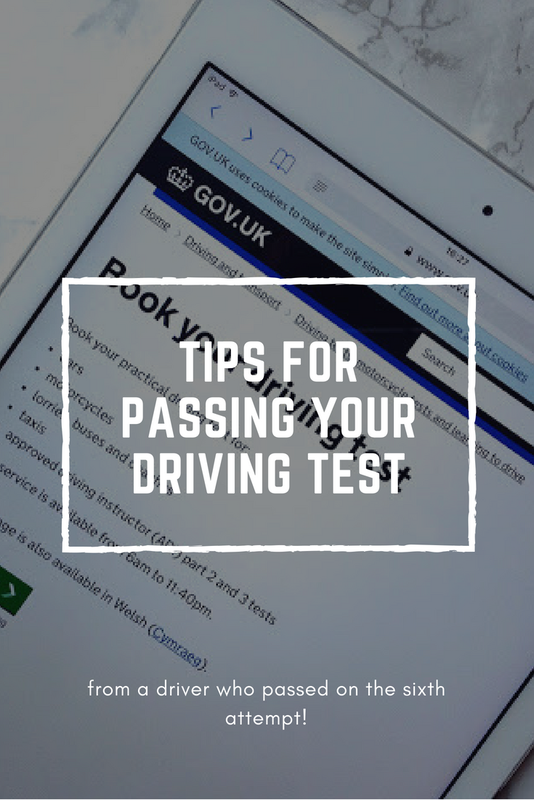 Driving is less about your own abilities and more about what the other drivers on the road are doing so the more experience you have the better you'll get about anticipating bad drivers and driving on roads with tricky junctions. It's been a year since I passed my test and i'm still learning, especially when it comes to parking and motorways and the only thing that will help me with this is practice! And the last thing to remember? Tests are down to luck; your driving might be perfect but it can be the other drivers on the road that cause you to fail so don't beat yourself up, don't give up and try again. Love this post! It took me 5 times to pass my test too because of pure nerves causing silly mistakes. I would completely agree with you - if anyone who is reading this is struggling, I have been there too and you CAN do it. Don't give up! Great post, Caz! It took me 2 instructors and 4 tests to pass, and my 4th test (1st with second instructor) was near perfect - just one minor! I found that the examiner makes a difference too - on tests 1 & 3 I had a horrid examiner and she made me feel so nervous that I made more mistakes on either test than the other two combined. It’s great that you have now passed your driving test. Thanks for sharing these tips that you learnt during your training. I am going to take test for the very first time. Have completed my driving training from Port Macquarie Driving School and hoping to pass test!